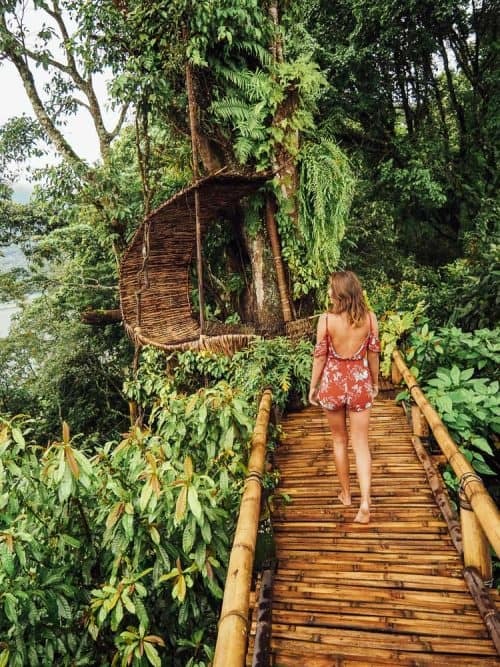 Bali is easily one of my favourite islands in the world! The famed Island of the Gods has endless amounts of things to see and do including the deeply spiritual and unique culture, volcanic landscapes, countless waterfalls, rugged cliff faces, sandy beaches, tropical islands, world-class surf breaks, iconic rice terraces, elephant sanctuaries, 5-star resorts, yoga retreats, buzzing nightlife, healthy cafes, water parks and much more. 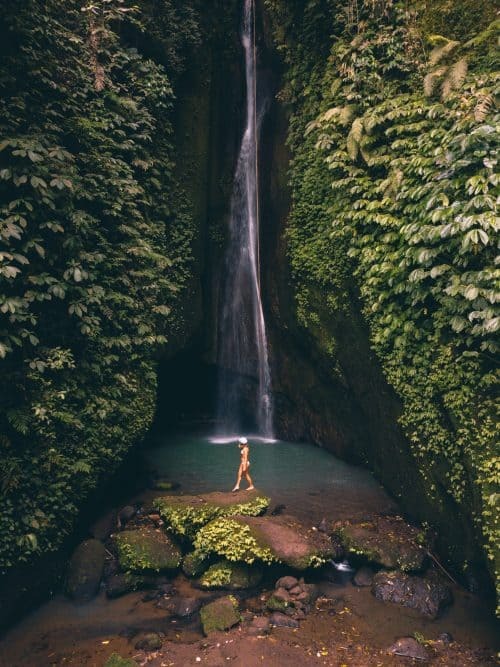 Bali really is a slice of Heaven on Earth! 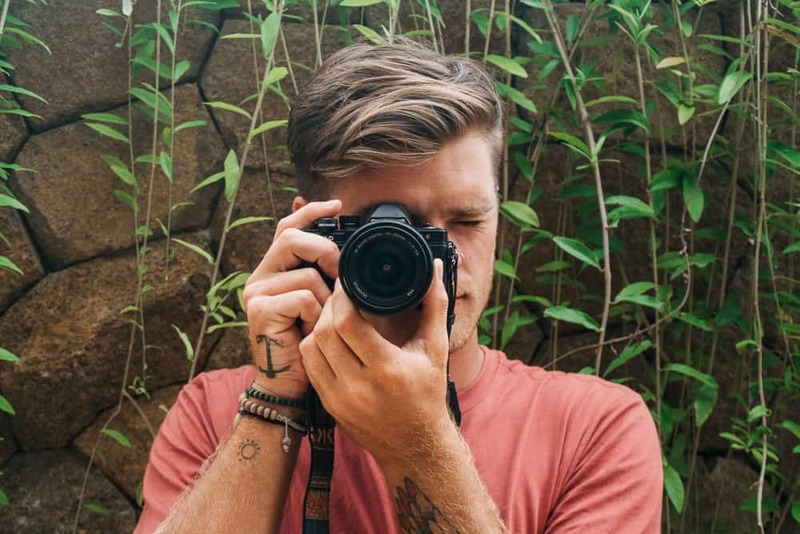 Wondering what Camera & Photography Gear I use while backpacking around the world? 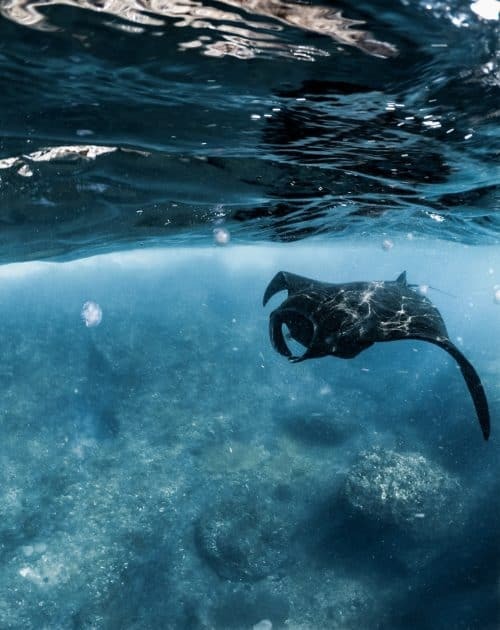 Click here to view my gear list and other essential travel items that I recommend for your next adventure! 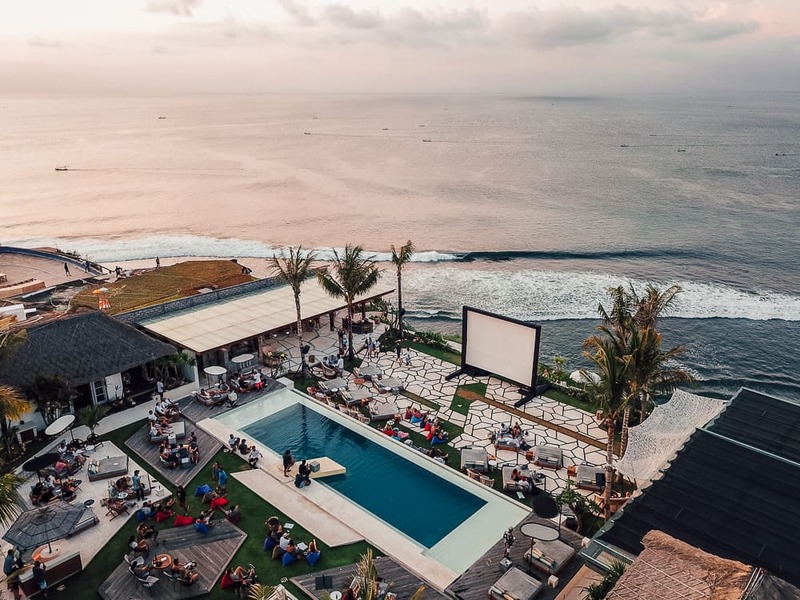 Canggu, as of late, is the hottest tourist spot in Bali – attracting digital nomads, surfers, skaters, yogis, foodies and just really down-to-earth people from all over the world. 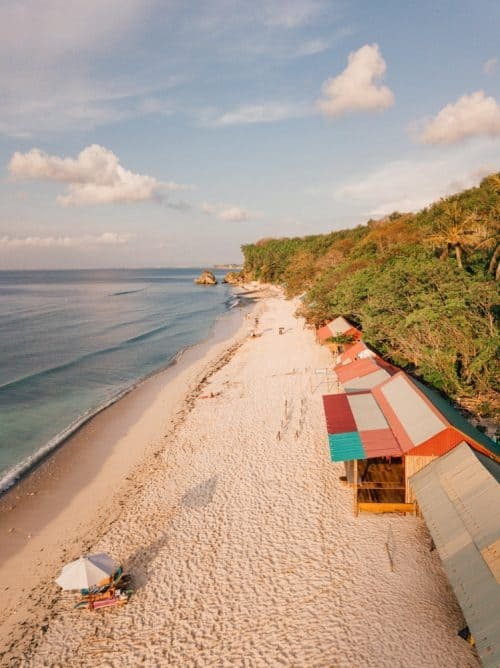 Canggu is NOT to be missed. From Denpasar airport, Canggu is a 30-minute drive in a taxi that should cost you no more than 300,000 Rupiah ($22). 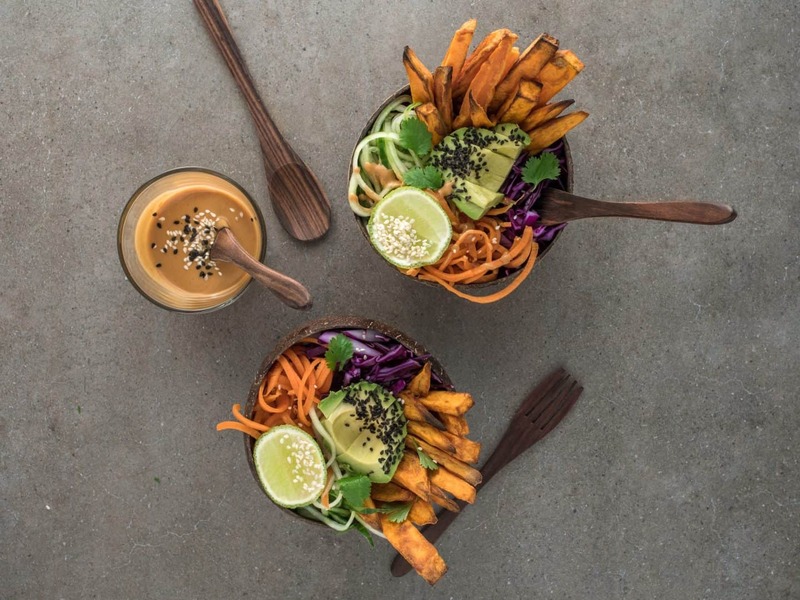 Canggu has almost everything you can think of including healthy cafes, yoga studios, gymnasiums, co-working spaces, trendy bars, nightclubs, skateparks, tattoo studios, world-class surf beaches, music venues, local markets, hostels, beach resorts and much more! 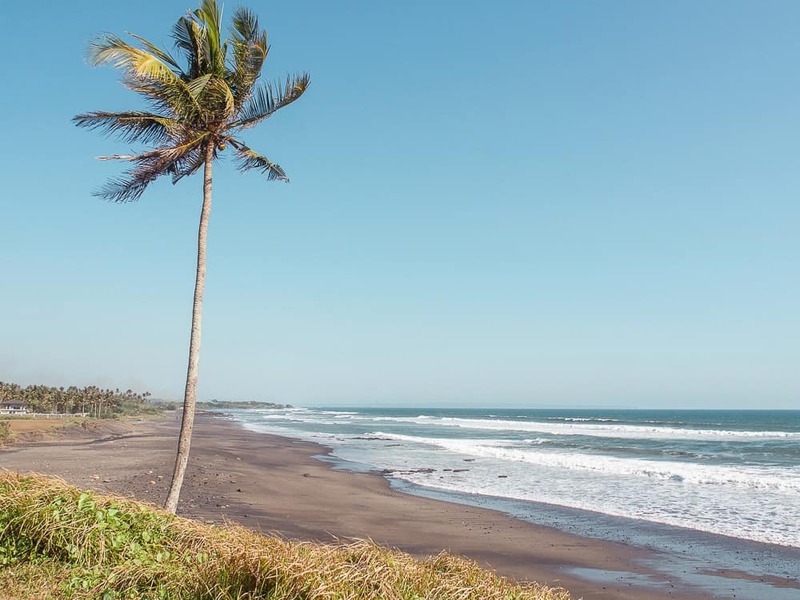 Canggu is definitely where you’ll want to spend the first few days of your 2 Week Bali Itinerary. Bedugul is the ‘Real Bali’ as I like to call it. 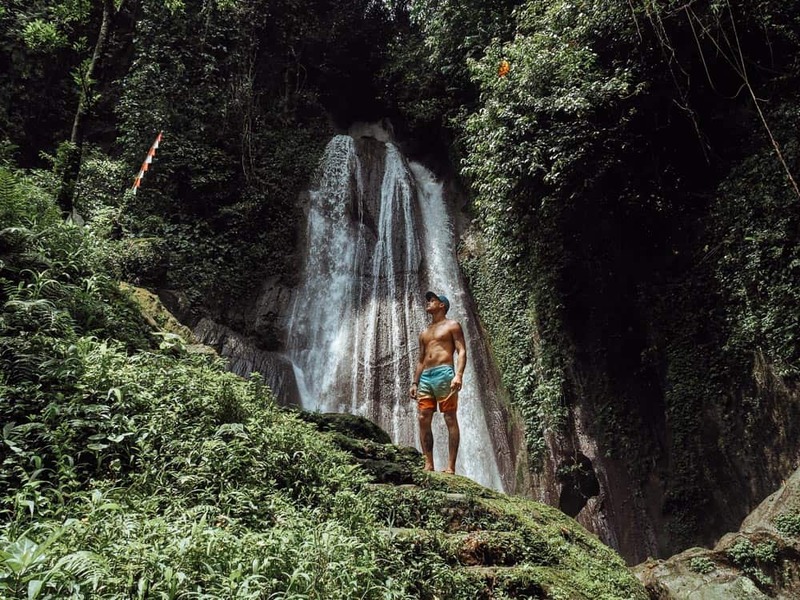 Located just 1.5 hours drive from Canggu, Bedugul is a mountainous lakeside village in the central-north of the island and this where the true Balinese culture can be found. 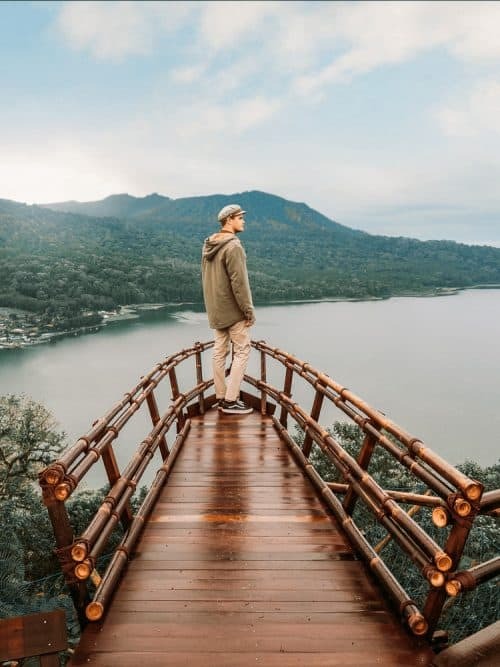 Bedugul is most famous for its twin crater lakes, countless waterfalls, panoramic viewpoints, traditional villages and more. I recommend spending at least two days here to explore the best of the best that Bedugul has to offer. 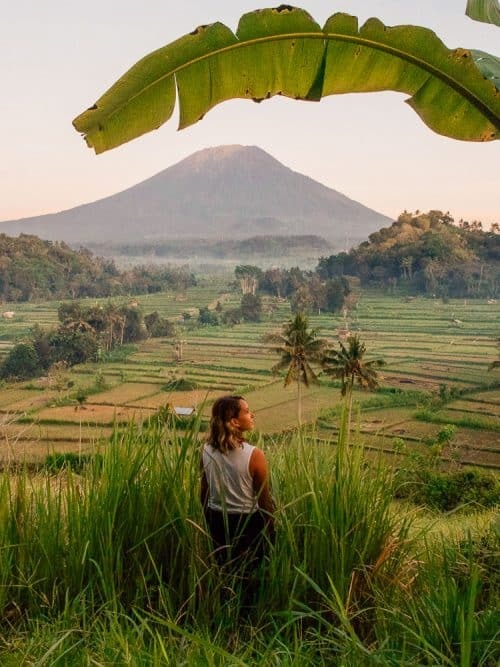 Ubud is the central hub of Bali that is most famous for its rainforest yoga retreats, traditional arts and crafts, outer-worldly rice terraces, raging waterfalls, monkey forests and ancient holy sites! 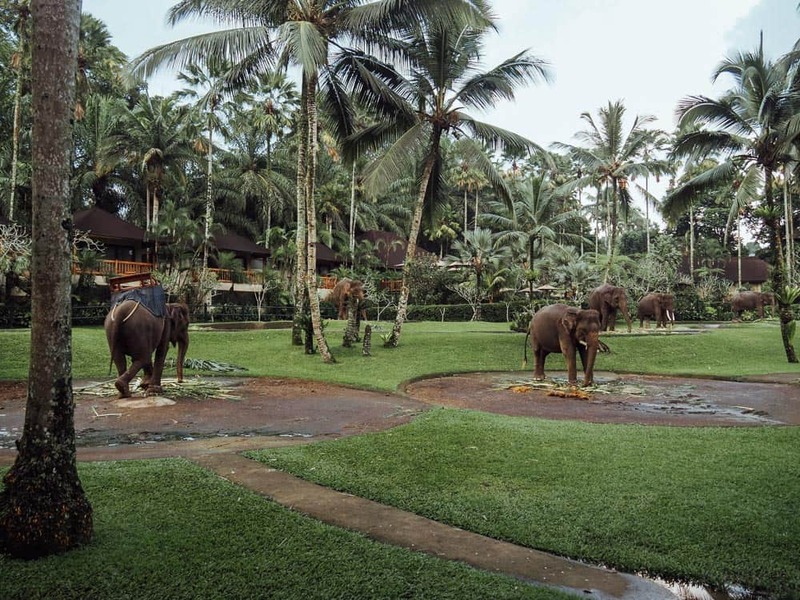 Ubud is the perfect place to immerse yourself in nature for a few days away from the rat race. 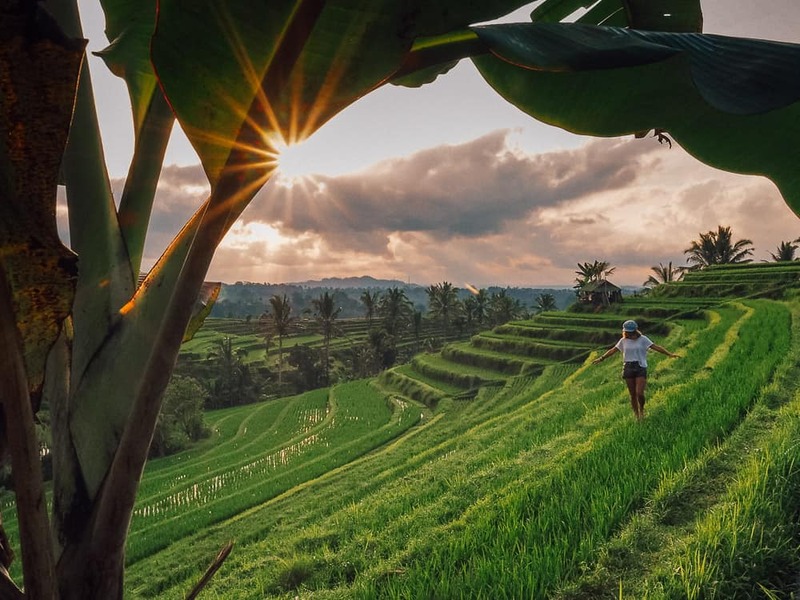 Whether you want to unwind and relax or adventure and explore, Ubud has the best of both worlds! 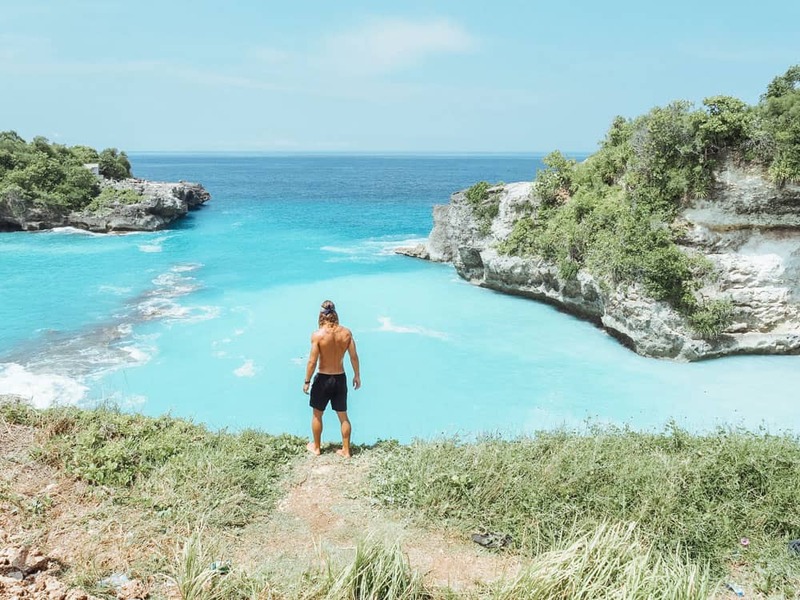 The Nusa Islands in Bali are 3 of the most beautiful and most adventurous islands I have explored to date! 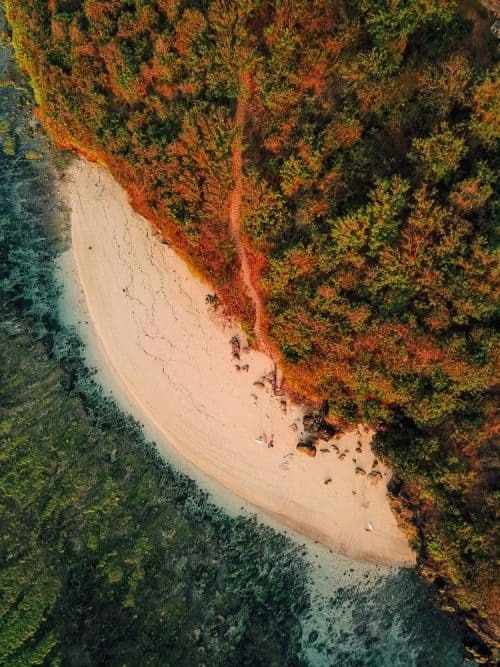 A short 30-minute boat from mainland Bali and you will arrive at the foreshores of the magic that the Nusa Islands has to offer. 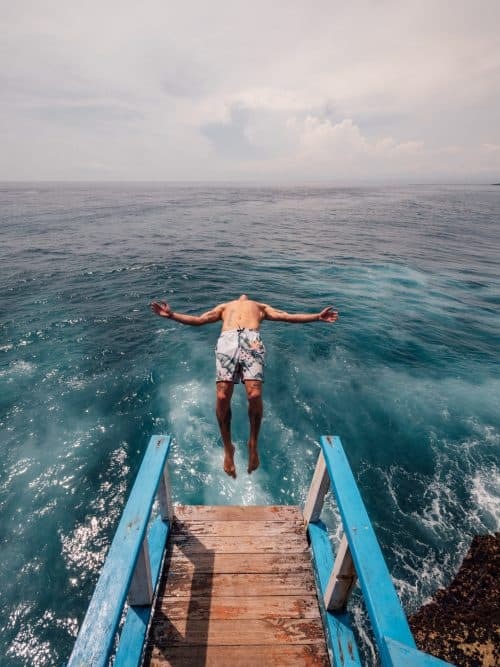 Whether you are an adrenaline junkie who loves the thrill of heights and cliff jumping or a laid back beachgoer who loves those sun-kissed hammock days and snorkelling the reefs, the Nusa Islands has something for everyone on their 2 Week Bali Itinerary! 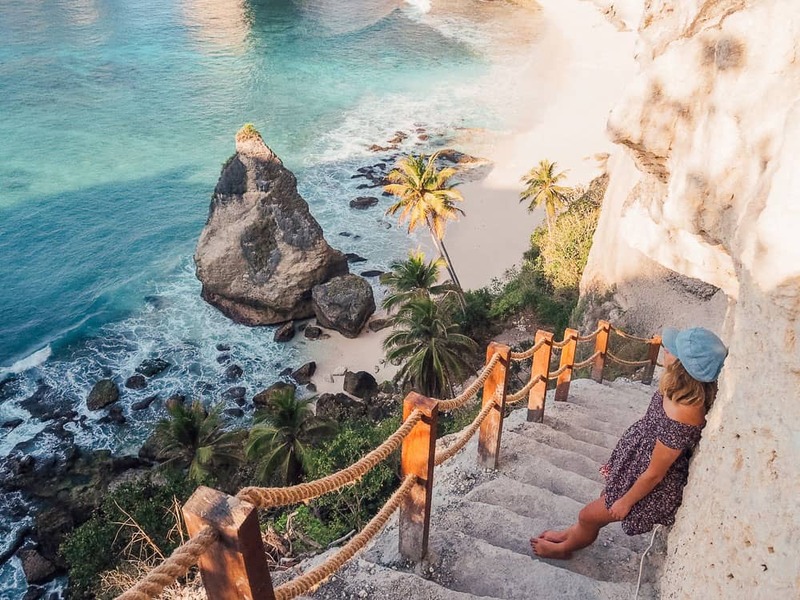 Uluwatu is located on the Bukit Peninsula in Bali’s south and it is a must-see region on the famed ‘Island of the Gods’. 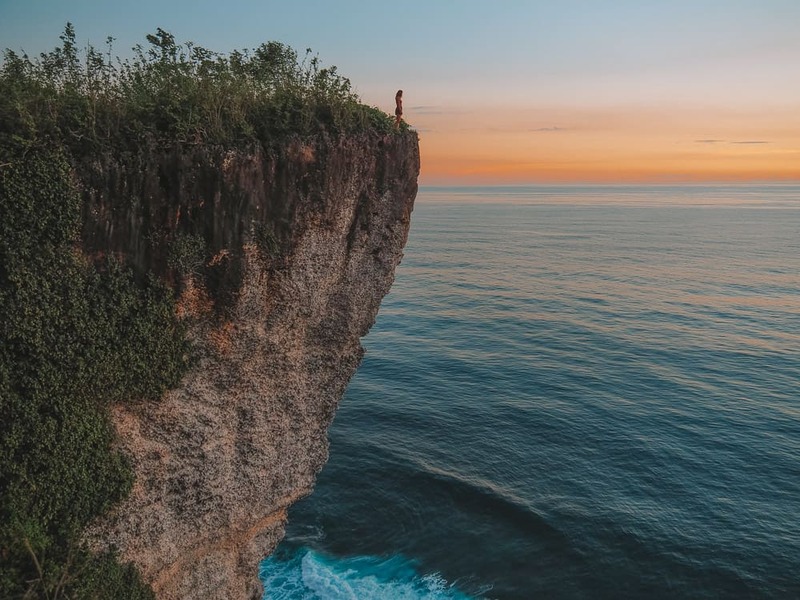 Uluwatu is most famous for its magnificent beaches but on top of that, you can find rugged limestone cliffs, world-class surf breaks, insane sunset viewpoints, cliff top bars, hipster cafes, skate parks, traditional temples and much more! 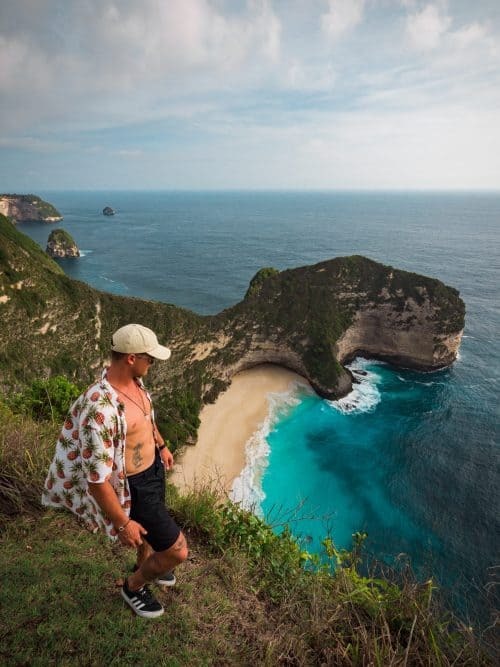 Safe to say the Bukit Peninsula Bali is one of my favourite places to hang out and I highly recommend spending the last couple of days of your 2 Week Bali Itinerary in Uluwatu. 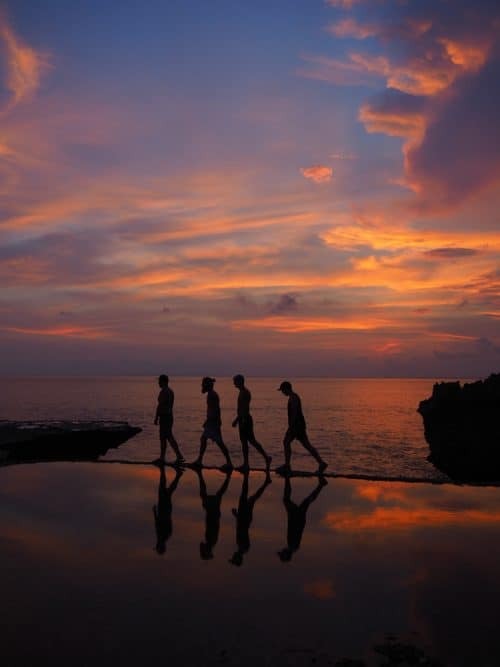 The best time to visit Bali for perfect weather and fewer tourists is between the months of April and October. 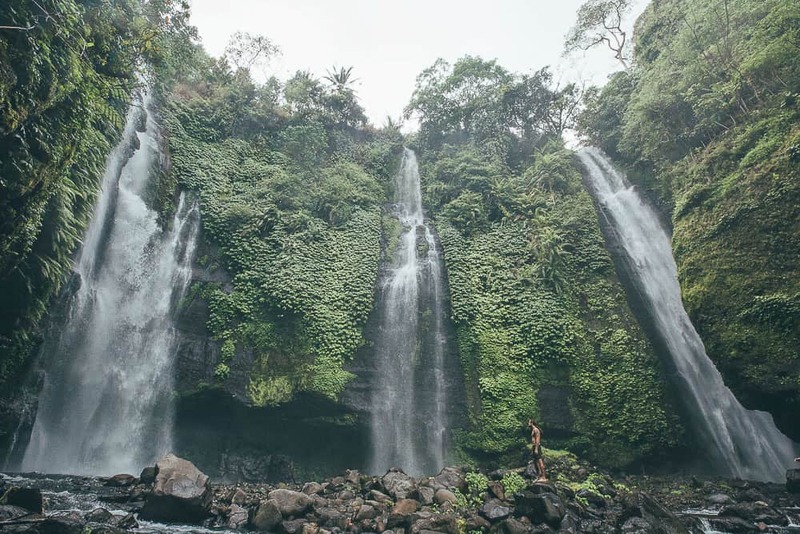 The rainy season in Bali is typically from December through to February and this is also peak season for tourists arriving during the Christmas and New Years holiday season. 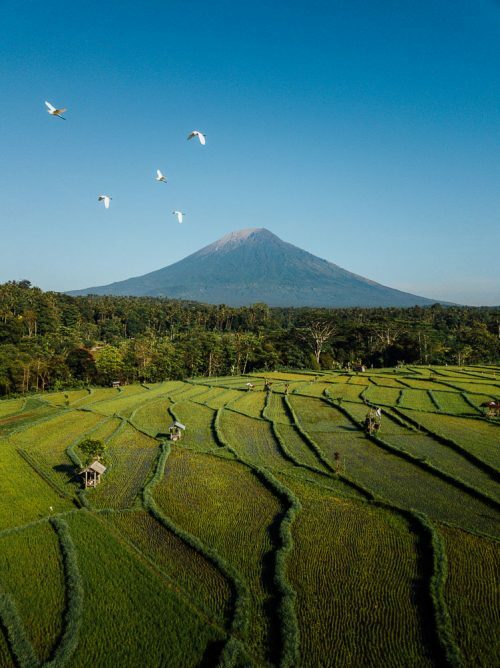 When entering Bali, there is a Visa On Arrival policy that allows tourists to stay for a maximum of 30-days at no cost. 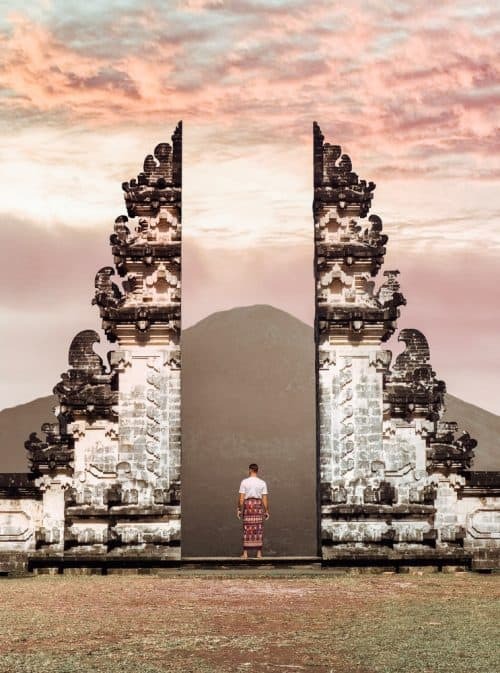 If you wish to stay in Bali for more than 30-days you must pay USD $35 for the Visa On Arrival in order for you to be able to extend it at the immigration office located in Denpasar City. You can only extend the 30-day visa to a 60-day visa and it requires a couple of visits to the immigration office to hand in your passport, do fingerprints and then pick up your passport a week later. 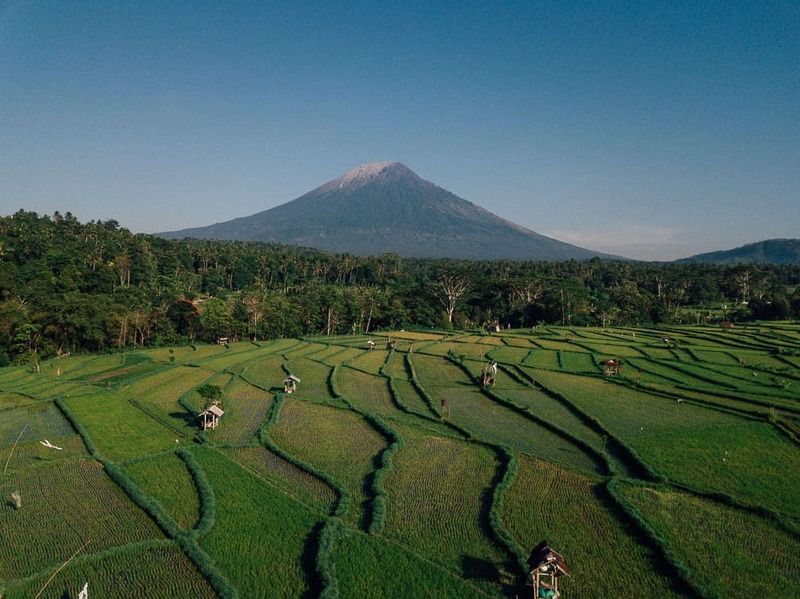 There are a few ways of getting around Bali – scooter, motorbike, go-jek, grab taxi and private taxi. 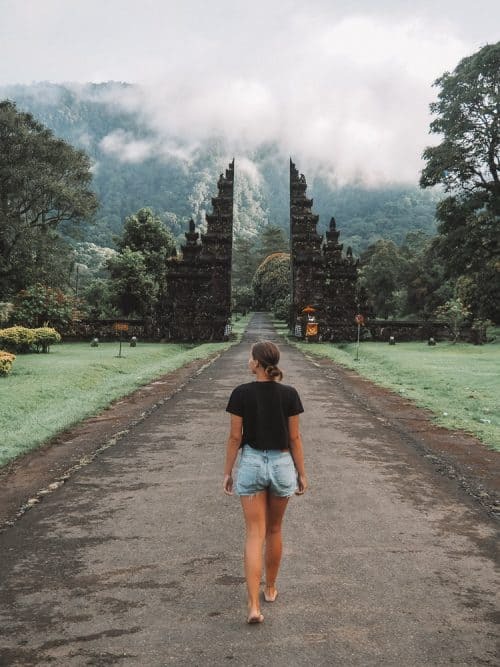 In my experience, the cheapest and most convenient way of getting around Bali is by scooter. The cost of scooter hire is around $4 day and petrol can be bought for as little as 70 cents per litre. If you are not comfortable riding a scooter on the crazy roads of Bali you can use Go-Jek and Grab Taxi services. Download the free app from the App Store and you’ll need a local number to register before you can start using the service. If you are travelling solo, you can select the motorbike taxi option within the Go-Jek and Grab app’s which is by far the cheapest mode of transport to get you from A to B. 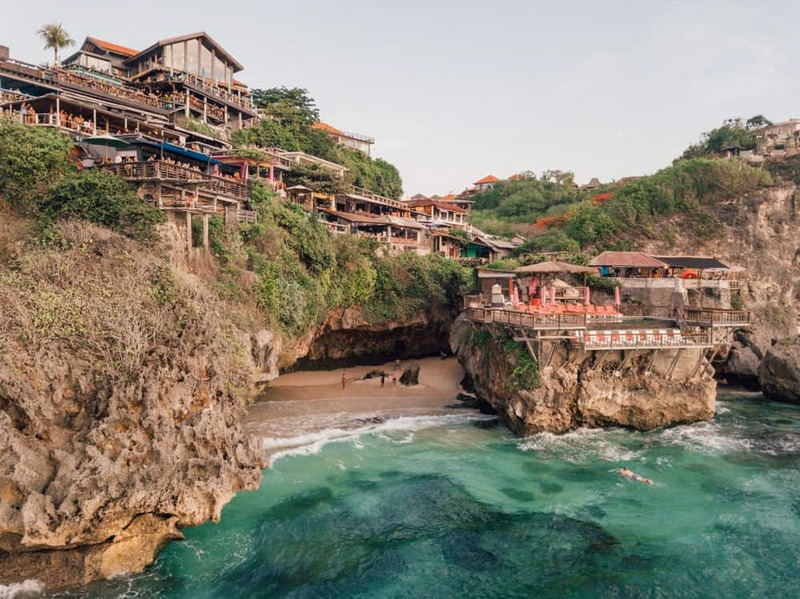 The currency in Bali is Rupiah (IDR) and the exchange rate is approximately $1 USD = 14,000 IDR. 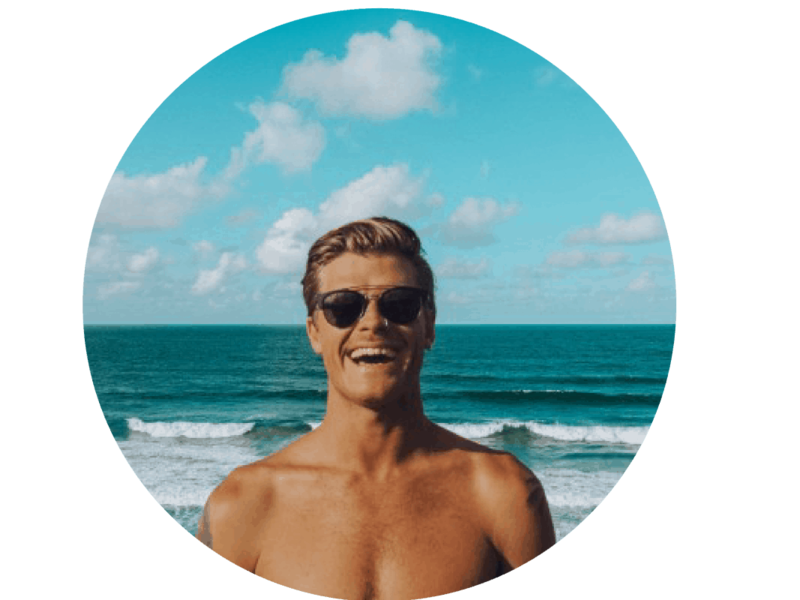 Purchasing a sim card in Bali is very cheap and simple. You can do this either at Denpasar Airport on arrival or find a phone store close to your accommodation. For approximately $10 USD, you can get a local sim card that comes with 8GB of data. 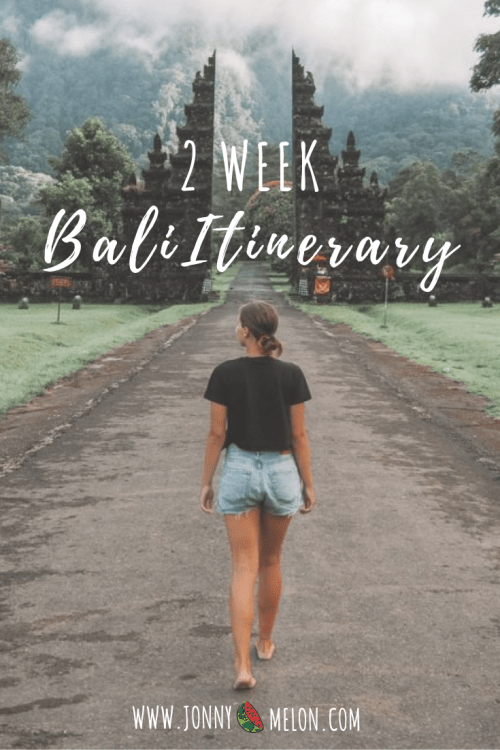 Thanks for reading this article and if you have any questions about this 2 Week Bali Itinerary please leave me a comment below.